Canada’s Healthcare Wait Times and Costs in 2016 Highest-Ever Recorded. Is The What America Wants? The Canadian healthcare system works fine until you have a serious illness or need surgery. 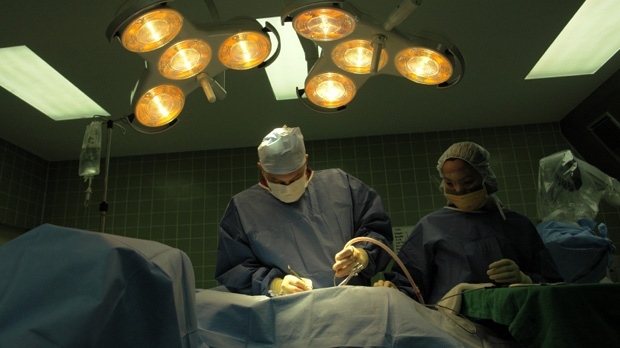 Wait times for knee or back surgery is 42 weeks on average, for example. Many Canadians know this stark reality and schedule trips south to the United States to have the surgery done there. A survey by the Fraser Institute found a median wait of 20 weeks for “medically necessary” treatments and procedures in 2016 – the longest-recorded wait time since the think tank began tracking wait times. That’s more than double the wait times reported in 1993, when the right-leaning think tank began tracking the issue in Canada. At 38.8 weeks, New Brunswick recorded the longest wait time among Canadian provinces. Ontario recorded the shortest wait time at 15.6 weeks, however that province’s median wait rose from 14.2 weeks in 2015. In terms of specialized treatment, national wait times were longest for neurosurgery (46.9 weeks) and shortest for medical oncology (3.7 weeks). In a statement announcing the survey’s results, the institute estimated that Canadians are currently waiting for nearly one million “medically necessary” procedures. “Crucially, physicians report that their patients are waiting more than three weeks longer for treatment (after seeing a specialist) than what they consider to be clinically reasonable,” the statement read. Prior to 2016, the longest recorded median wait time was in 2011, at 19 weeks. In an interview on CTV News Channel on Wednesday, Canadian Doctors for Medicare Chair Monika Dutt expressed concern over how the Fraser Institute collected data for the wait times study, saying she believes there are “a lot of flaws” in the research. She nevertheless acknowledged that “there are concerns” about wait times in Canada. “Some places are definitely better than others places, but there has been a lot of effort that has been put into being able to accurately measure wait times, which we need to do well in order to adjust the problems,” Dutt said. Dr. Brian Day, a former president of the CMA, agreed that the problem isn’t a lack of funding. “The studies around the world show that Canada is one of the biggest spenders but down at the bottom in access and quality,” he said. Day has frequently pointed out that the only other country with such a monopoly is North Korea. He is suing the B.C. government over it ban on the purchase of private insurance for medically necessary services, arguing that the Supreme Court has already ruled in Quebec that such bans unconstitutional. Day argues that allowing private insurance would ease pressure on the public health care system and therefore reduce wait times. A typical Canadian family of four will pay $11,735 for public health care insurance in 2015. The study also tracks the cost of health care insurance over time: Between 2005 and 2015, the cost of health care for the average Canadian family (all family types) increased by 48.5 per cent, dwarfing increases in income (30.8 per cent), shelter (35.9 per cent) and food (18.2 per cent). The study finds the average Canadian family with two parents and two children earning $119,082 will pay $11,735 for public health care insurance in 2015. A single individual earning $42,244 can expect to pay $4,222. It is worthy to note, the system does not include dental care or prescription drugs for working people in most provinces. Is this what America is looking for?